Safe n Sec Plus Anti-Spyware is a complex solution including Safe n Sec reliable proactive protection of PCs against unknown viruses, Trojans, other malwares, and Anti-Spyware Module intended for scanning and removing spyware. 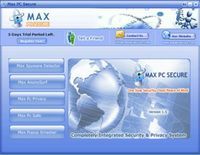 Safe n Sec Plus AS - new generation of security systems, Against new viruses, Trojans and other malware Against spyware programs Against hacker attacks, PC breaking and information theft Against user unqualified actions Safe n Sec uses the innovation technologies of proactive protection based on permanent analysis of applications behavior. 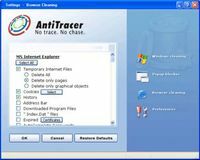 The integrated scanner Anti-Spyware Module detects spy programs that trace the user actions on the PC and send the gathered info to the Internet unknown to the user. Anti-Spyware Module deletes or moves spy modules to special folder according to user request. 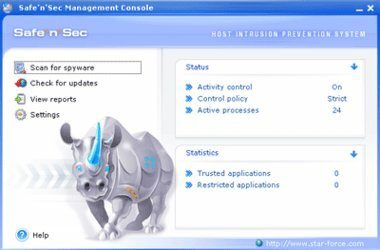 Safe n Sec Plus Anti-Spyware advantages The principle of permanent complex analysis of applications behavior allows makes the program to detect and block a significantly greater amount of malware including unknown viruses, hacker utilities, spyware packets, Trojans, network worms of any modification. Unlike traditional anti-spyware solutions which detection capacity is limited by the last signature update Safe n Sec is permanently monitoring the system and follows the established rules. This allows blocking any maliocious activity and combating attacks of any complication. Safe n Sec does not need frequent updates and efficiently uses system resources.